ArtProvo was established by long-time resident (over 30 years) Mary O'Neill in 2003 and moved to its present location in The Regent Village in 2007. ArtProvo showcases island artists with diverse talents. 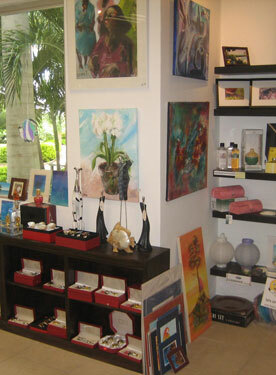 We also carry a comprehensive collection of prints, ceramics, hand-crafted jewelry and unique art glass pieces. 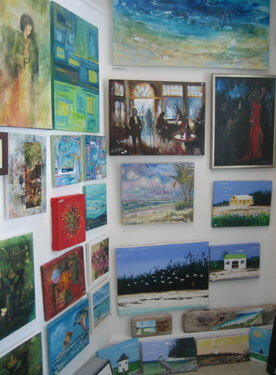 Turks and Caicos Crafts are well represented with conch shell items, fanner baskets, dolls, sea glass jewelry, Salt Cay salts and Coconut Oil Products. 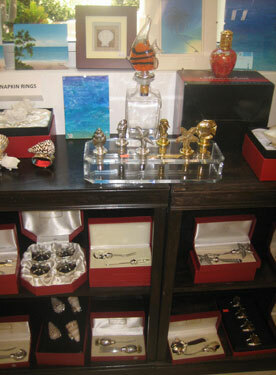 Scented soaps, candles, picture frames and shell napkin rings are just some of the many gifts items stocked in this light filled gallery. Which treasure to bring home will be your only difficult decision of the day.